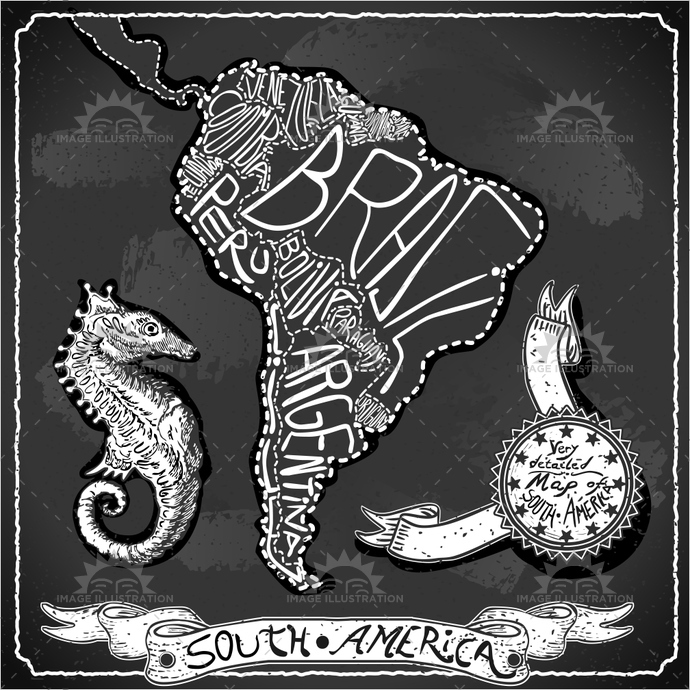 Stock product - detailed vector illustration - 2D Blackboard Collection - South America Map 01 Vintage - created by Aurielaki. Image formats EPS AI JPG. SKU: South-America-Map-01-Vintage-Blackboard-2D-AurielAki. Category: Blackboard Map. Tags: aged, america, ancient, antique, argentina, background, banner, blackboard, bolivia, border, brazil, chalk, chile, colombia, crayon, decoration, ecuador, freehand, guyana, guyane, handwriting, map, paraguay, peru, retro, suriname, typography, uruguay, venezuela, vintage.